This is probably one of my favorite go-to recipes. I’ve used it tons before in my cream puffs, tarts, and crepe fillings. When I used to work at Beard Papa’s, we made them in large enormous batches that made me believe you had to have special equipment and ingredients. But no. All you need is a stove, a nonstick saucepan, whisk, a fine mesh sieve, rubber spatula, and a medium bowl. And that’s it! 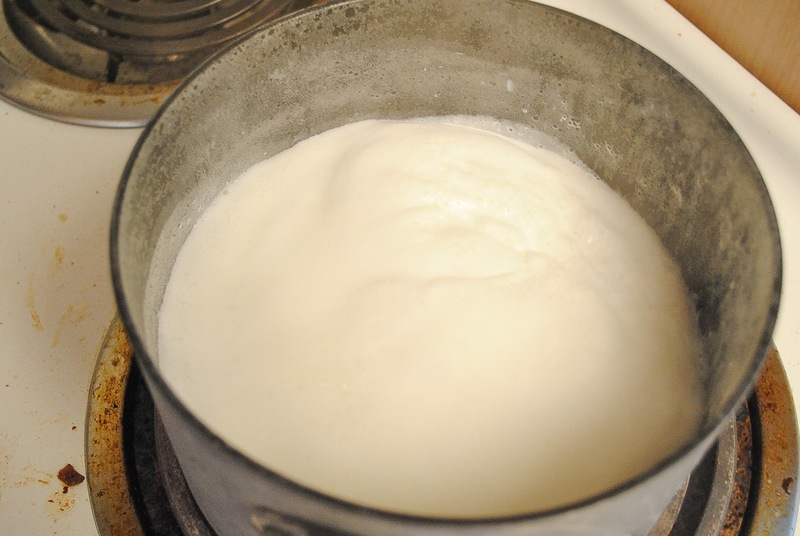 First, you want to heat up the milk, vanilla, and salt over medium heat. Meanwhile, whisk together the sugar, eggs, and cornstarch in a medium bowl until they are nice and smooth. Note: The amount of cornstarch you add to your mixture will determine how thick your pastry cream will be. If you want it to be a very thick pastry cream, add a tablespoon more. If you want it to be almost like a soft pudding, then subtract one tablespoon. But be careful and keep an eye on your stove! The milk may bubble over. Also, with a rubber spatula, scrape the sides and the bottom of the pot so the milk does not scald. Scalding will cause brown bits to form in your custard, and you want it as purely yellow as possible. For this batch, I was too busy taking pictures to stir so the batches in this post contain brown spots. Not what you want but will not hurt. 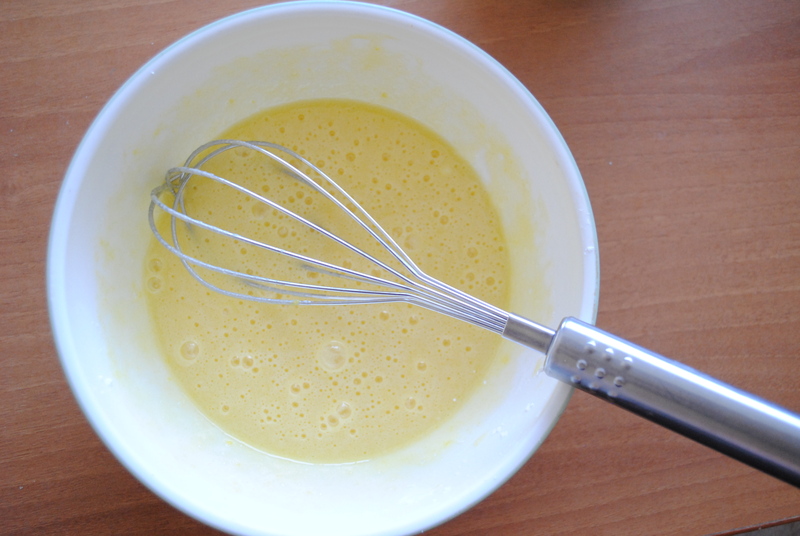 Once the milk is bubbly, add 1/2 to 1 cup of the hot milk mixture to the egg mixture and whisk quickly. This is called tempering. If you were to add the egg mixture directly into the hot milk, you would make scrambled eggs. But by adding a small bit of the hot milk into the egg mixture first, you are warming up the mixture, lessening the chance of scrambled eggs. Add the warmed egg mixture into the saucepan. Still on medium heat, whisk until it thickens up and is bubbly. Remove from heat. Add the butter and fold it in until it has completely melted. Rinse the same medium bowl the egg mixture was in and dry. 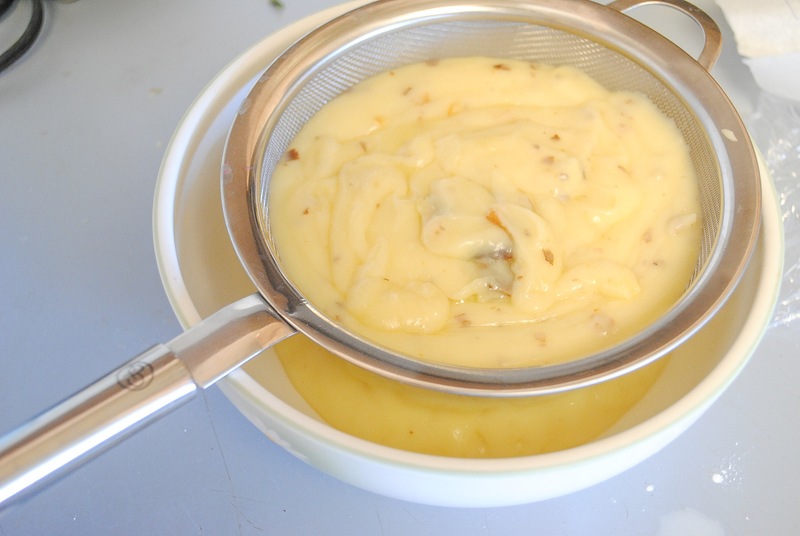 Place the fine mesh sieve over it and with a rubber spatula, scrape the custard into the sieve. 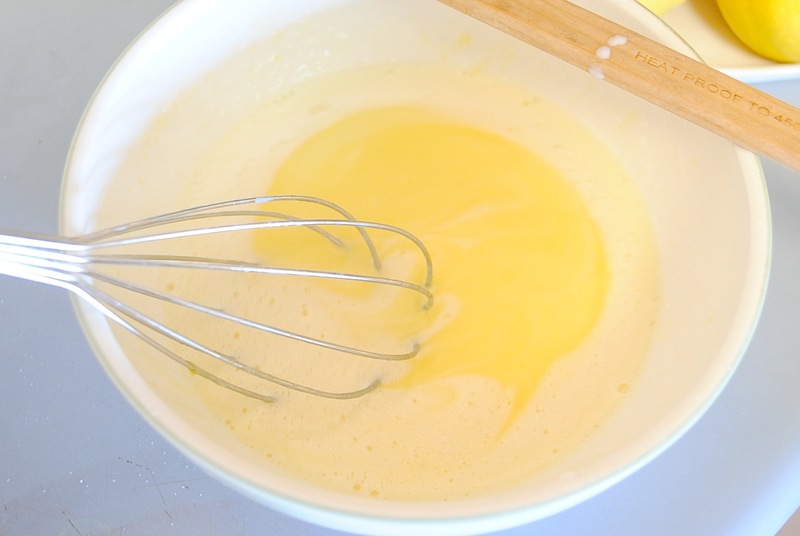 Gently stir the custard to strain out any lumps, bits of cooked eggs, and scalded milk bits. 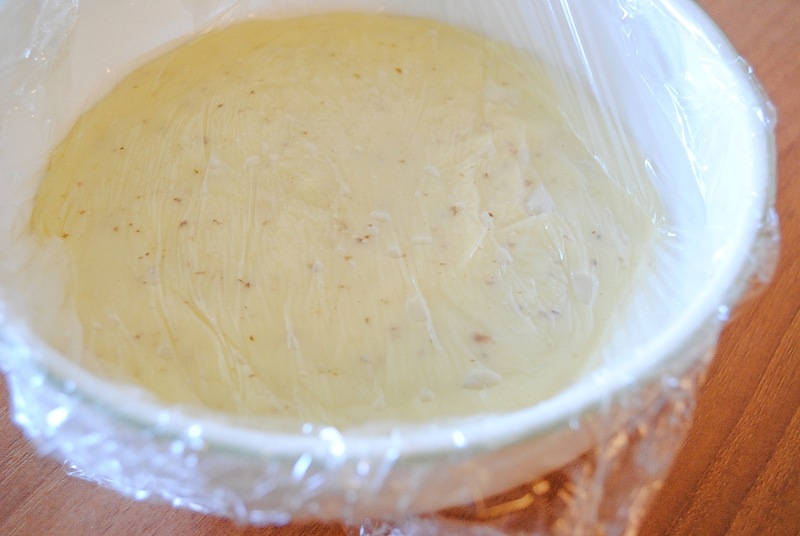 Take a piece of cling plastic wrap and place it on the surface of the custard. This will prevent it from forming a skin, which is a thick layer on the top. Chill for several hours and serve cold. Heat the milk and salt in a sauce pan until it boils. Meanwhile, whisk the sugar, cornstarch, and eggs until thick and smooth. 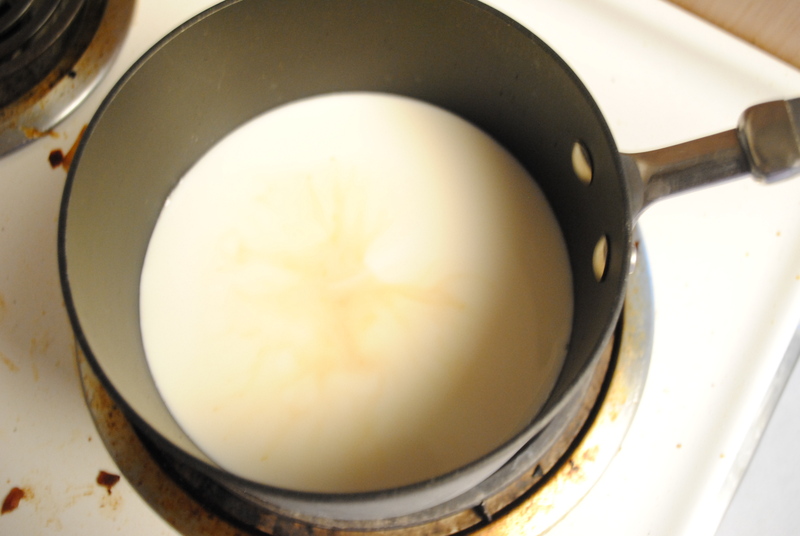 Add half of the boiling milk into the mixture to temper the eggs, then return the mixture into the saucepan with the rest of the milk. 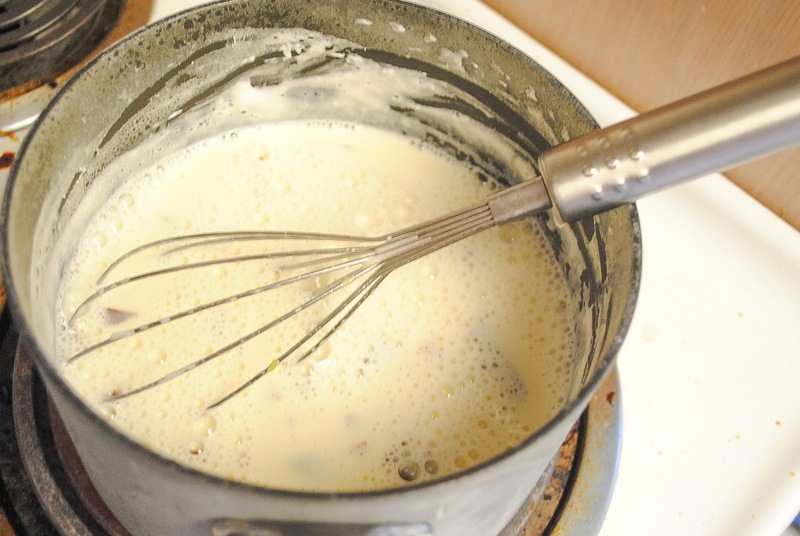 Whisk continuously on medium high heat until the cornstarch cooks and the mixture is thickened. Remove from heat and pour into a heatproof bowl. 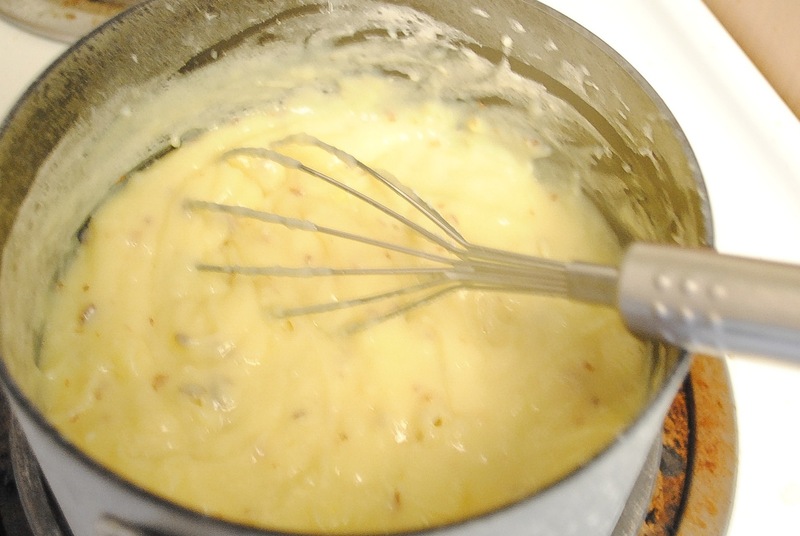 After 10 minutes, whisk in the butter 1 Tbsp at a time. Place plastic wrap on the surface of the cream to cool to avoid the creation of a “skin” layer.